Dr. Etnier’s research focuses on the cognitive benefits of physical activity. 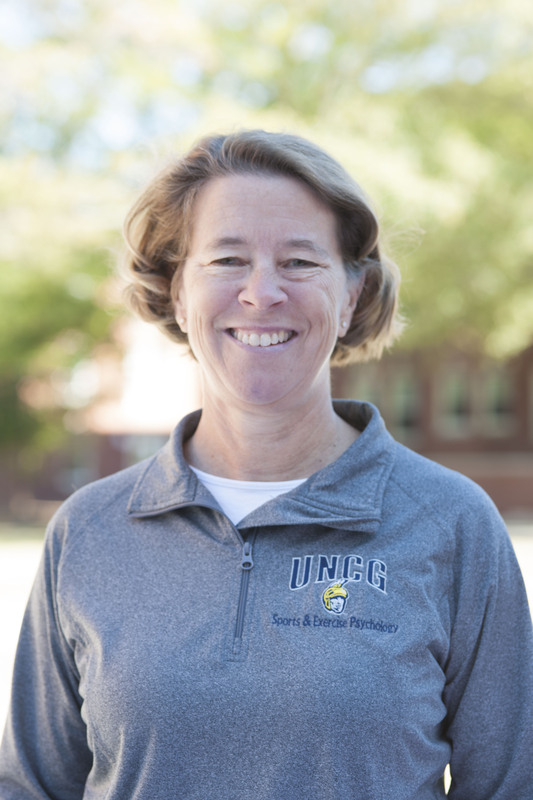 She is a Fellow of the American College of Sports Medicine and the National Academy of Kinesiology and has received the Health and Human Performance Teaching Award, UNCG Alumni Teaching Excellence Award, School of Health and Human Sciences Teaching Excellence Award, School of Health and Human Sciences Graduate Mentoring Award, and the UNCG Graduate School´s Outstanding Faculty Mentor Award. Dr. Etnier is President of the North American Society for the Psychology of Sport and Physical Activity and a member of three editorial board for peer-reviewed journals. Chang, Y. K., Chu, C. H., Chen, F. T., Hung, T. M., & Etnier, J. L. (in press, July 2016). Combined effects of physical activity and obesity on cognitive function: independent, overlapping, moderator, and mediator models. Sports Medicine. LINK. Slutsky, A.B. & Etnier, J.L. (in press, Feb 2016). Lifestyle factors and cognitive performance: The potential mediating role of BDNF and TrkB. International Journal of Sport and Exercise Psychology. Donnelly, J.E., Lambourne, K., Szabo-Reed, A.N., Hillman, C., Etnier, J.L., Castelli, D., Lee, S., & Tomporowski, P. (in press, Jan 2016). Physical activity, cognitive function and academic achievement in children: American College of Sports Medicine Position Stand. Medicine and Science in Sport and Exercise. Etnier, J. L., Labban, J. D., Karper, W. B., Wideman, L., Piepmeier, A.T., Shih, C-H, Castellano, M., Williams, L. M., Park, S-Y, Henrich, V. C., Dudley, W.N., Rulison, K.L. (2015). Innovative research exploring the effects of physical activity and genetics on cognitive performance in community-based older adults. Journal of Aging and Physical Activity, 23(4), 559-568. Chang, Y. K., Labban, J.D., Gapin, J.I., & Etnier, J.L. (2012). The effects of acute exercise on cognitive performance: A meta-analytic review. Brain Research Reviews, 1453, 87-101. Etnier, J.L., & Chang, Y.K. (2009). The effect of physical activity on executive function: A brief commentary on definitions, measurement issues, and the current state of the literature. Journal of Sport and Exercise Psychology, 31, 469-483. Etnier, J.L., Caselli, R.J., Reiman, E.M., Alexander, G.E., Sibley, B.A., Tessier, D., & McLemore, E.C. (2007). Cognitive performance in older women relative to ApoE-ε4 genotype and aerobic fitness. Medicine and Science in Sports and Exercise, 39(1), 199-207. Etnier, J.L., Nowell, P.M., Landers, D.M., & Sibley, B.A. (2006). A meta-regression to examine the relationship between aerobic fitness and cognitive performance. Brain Research Reviews, 52, 119-130. Sibley, B.A., & Etnier, J.L. (2003). The relationship between physical activity and cognition in children: A meta-analysis. Pediatric Exercise Science, 15 (3), 243-256. Etnier, J.L., Salazar, W., Landers, D.M., Petruzzello, S.J., Han, M., & Nowell, P. (1997). The influence of physical fitness and exercise upon cognitive functioning: A meta-analysis. Journal of Sport and Exercise Psychology, 19, 249-277.